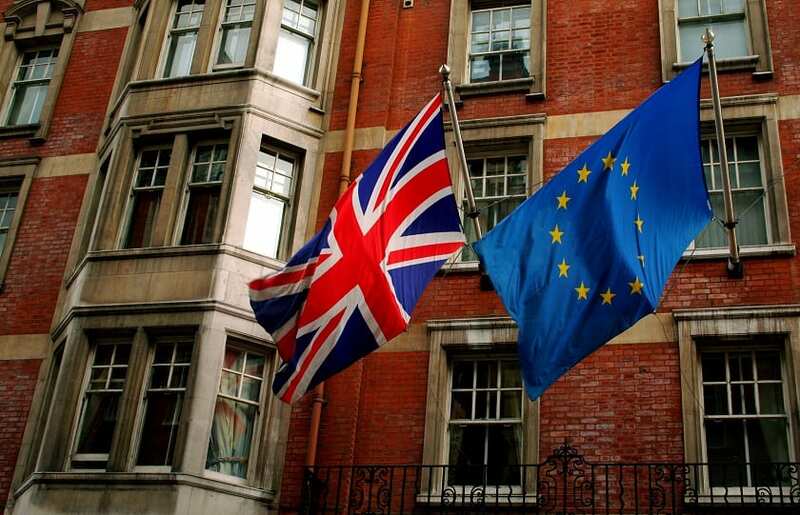 On 7th June, the Royal Geographical Society in South Kensington staged a debate held by the Evening Standard and London First asking the big question for Londoners ahead of the 23rd June referendum- Is London better off In or Out of the European Union? The debate was lively and broad-ranging, contested in front of an audience evenly split between Leave and Remain (the narrow winner on a vote of hands at the end of proceedings). Here are some key snippets from the evening’s discussion. IN: Carolyn Fairburn was of the view that leaving the EU could be a dangerous break on attracting the talent that arrives on these shores from other EU countries. Chuka Umunna hammered home some powerful points; that the benefits of access to the single market outweighs the difficulties caused by immigration, EU migrants employ 1.5 million people in the UK and that leaving the EU alone will not solve our immigration problems. OUT: Munira Mirza responded with an argument that Remain struggle to answer- the UK cannot hope to control migration from other EU countries unless free of the EU and its founding principle of free movement of people. Daniel Hannan humoured the audience by making it clear that whilst a decision to leave will not result in the mass deportation of Polish barmaids. On a more serious note, he argued that leaving will allow controlled, legal and economic migration in the UK. IN: Carolyn Fairburn stressed that a decisive vote, as opposed to ongoing uncertainty, is the best outcome so that we can all move on. She pressed that should Britain remain, a policy of re-engagement should be pursued and that the UK needs to send more of its best talent to Brussels to work harder for our best interests. OUT: Daniel Hannan put forward that pressure from a dead heat result could lead to a middle ground solution as in the Scottish referendum in 2014. However, this was caveated with his remark that given the lack of powers brought back by David Cameron in his EU tour last winter, should Britain vote to remain, it is even less likely that the EU will reform or offer Britain a better deal. IN: Rohan Silva made light that the UK benefits in a variety of areas from EU funding encompassing academia, arts, science and research. He also mentioned major transport projects such as Crossrail and the Docklands Light Railway extension which received funding from the European Investment Bank. OUT: Munira Mirza responded that by leaving the EU, we would get this money back from what we put in every year and continue to spend it in the same way. Chuka Umunna: The EU acts as a floor which prevents a race to the bottom in a global world. Global problems affect us and it is best to tackle them as part of the EU. Build British and European prosperity by amplifying our influence. Rohan Silva: The EU may be corrupt, unaccountable, wasteful and a number of other things. However, there could be 3-5 years of economic damage and it is small businesses that will struggle the most and be hit hardest by Brexit. Carorlyn Fairburn: Businesses of all sizes- not just multi-nationals- back Remain. The single market is so valuable and the Leave camp has failed to proffer a credible, attractive alternative. Voting to exit the EU will be a seismic shock for the UK and Europe with the risk of a lost decade becoming very real. Jenny Jones: The EU makes its own messes and then has to clear them up. The amount of corporate lobbying (15 lobby groups to 1 NGO) is appalling, as are the plans for an EU army. There is no prospect of reform as all countries have different ideas and the body is too bloated and bureaucratic. Munira Mirza: The EU presents a risk to London and the UK like Mount Vesuvius preparing to erupt over Pompeii. As Tony Benn argued years ago, giving power to unelected people is a barrier to social progress. Do not forget that young people in the Eurozone have suffered greatly with high levels of youth unemployment. Daniel Hannan: There is no chance of reforming the EU or slowing further integration if Britain decides to remain. London is the greatest city in the world and for all the reasons why the EU is so bad, there is a strong positive case for leaving. If we vote to leave the EU, our European partners will act in their rational self-interest and work with us, not punish us. Abeer previously contributed and devised a popular football podcast for a Guardian award-winning student website. He read Law at City University London and currently works within the legal profession in Buckinghamshire as a Trainee Solicitor.